The white and blue finish sure stands out compared to all the other black chargers I have. Here it is next to the Xtar SV2 Rocket which is the most compact charger I have. 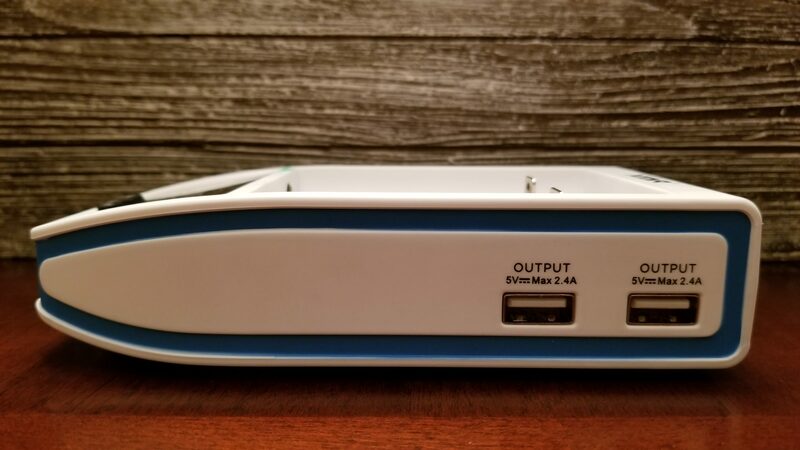 Here is where all that extra power comes from, the SV2 Rocket wall adapter on the right next to the power brick of the Over 4 Slim on the left. They include a pair of 5V/2.4A charging ports as well, nice touch and both of them worked fine for charging my internal battery mods. The display screen is nice, bright and easy to read and shows the voltage, temperature, charging rate, % of battery and will show if one of the USB charging ports is also in use. In this pic I have one of my internal battery mods plugged in to USB 2 while I begin charging a pair of batteries at the same time. Appears to be made of plastic but Xtar mentions it is a fire retardant material. Not that I have seen any metal chargers, none that I own, they are all made of plastic as well. The Over 4 Slim does have a nice satin like finish to it, overall a nice looking charger. 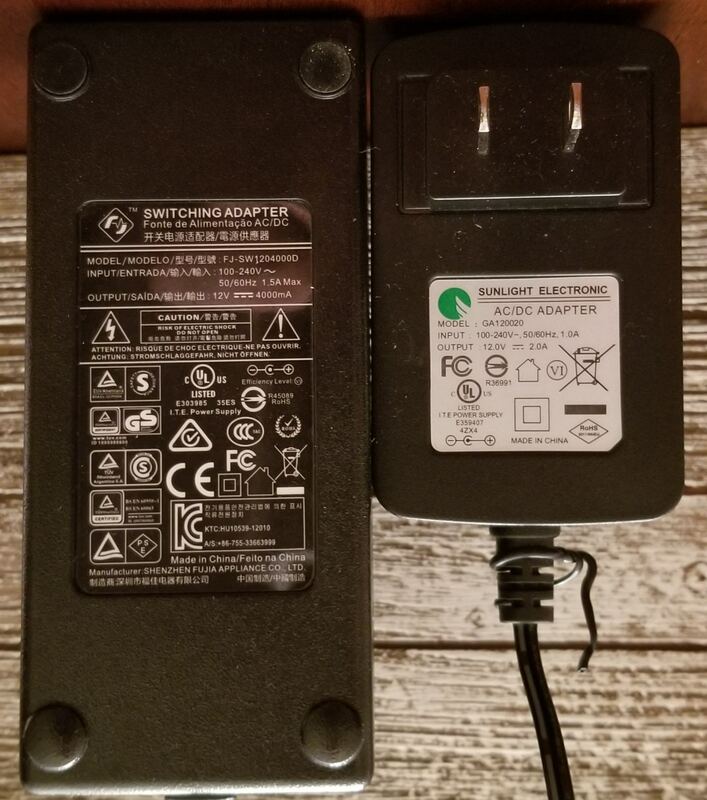 Now let’s first get into if it is safe to charge at 4.1A, from what I have gathered from reading up on the subject it is as long as the temp of the batteries is monitored which the Over 4 Slim does via temp sensors. It will also test the internal resistance of the battery and decide the proper current. 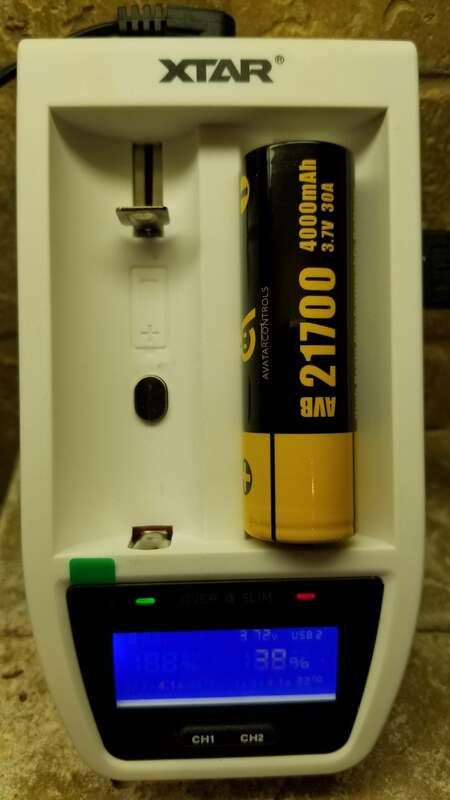 I did try some of my old AWT 18500 batteries with it from my Provari days and after reading the internal resistance it set the charge rate at 2.1A. 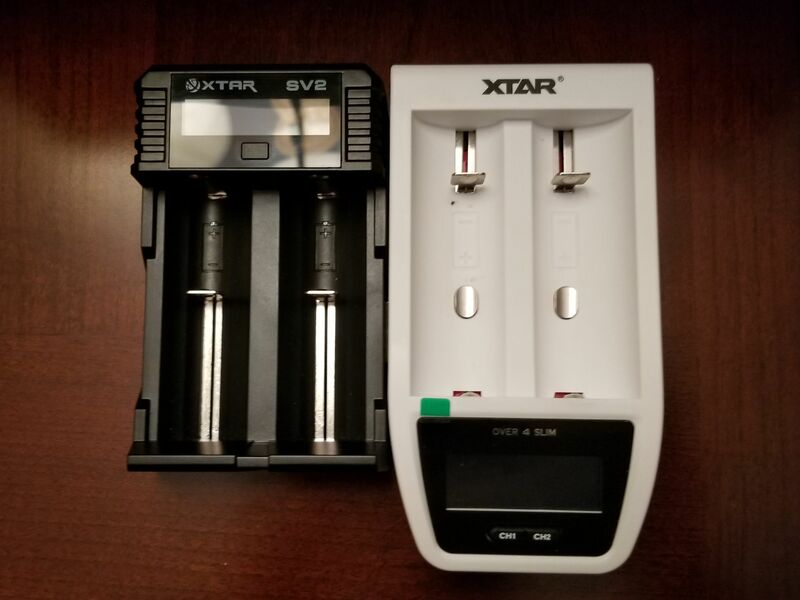 With the current batteries I use daily, mainly Sony VTC5A 18650, iJoy 20700 and various 26650’s it selected 4.1A but the user can change that if they wish to 2A or 1A . It fits all the sizes I mentioned, even a 21700 I just received during my review evaluation. Now let me just say I am no Battery Mooch, for those of you who do not know Mooch is the battery guru for the vaping industry and a hugely valuable resource. I have read his recommendations and charging advice. It is known that Li-ion batteries we use don’t last forever, they have a discharge cycle which I have seen estimates of between 300 to 500 and from there the capacity begins to fall. To extend life it is recommended to charge at a slower rate, preferably 0.5A so keep in mind that 4.1A charging will decrease the capacity faster, how much faster I really don’t know but there is a drawback to the speed. Now in my use I can say this thing is wicked fast, it was the only charger I used for more than 6 weeks and the speed is addicting. Just as I started writing this review I popped in a pair of 20700’s which were at about 3.65V each and they are already done…wow. 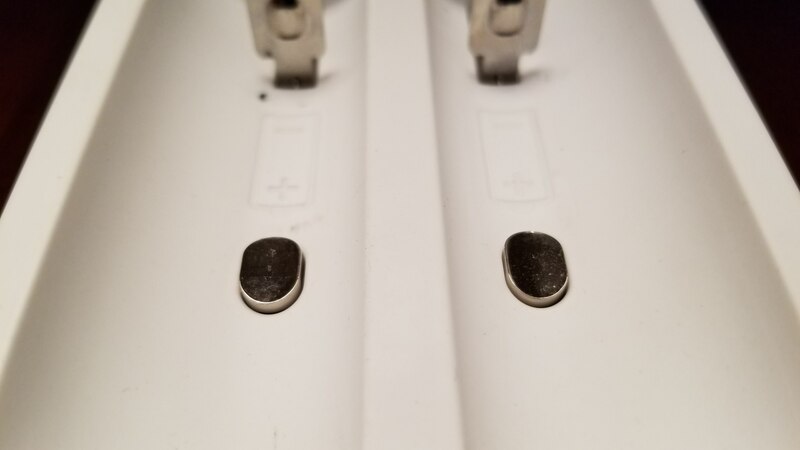 I used it with almost all my batteries, the only exceptions were my 3 and 4 battery married sets, this is a con for those with triple or quad battery mods….only 2 slots. I did not time all my battery charges, usually by the time I got back to the charger they were already done and this thing doesn’t have a timer. I did measure the time for a pair of LG HG2 3000 mah batteries though, both discharged to 3.36V and it took 46 minutes to fully charge. A single Samsung 25R 2500mah battery discharged to 3.3V only took 30min for full charge. I was curious to find out if it would do the full 4.1A and if it was indeed twice as fast as one of my other chargers at 2A. I took a pair of Basen 4500mah 26650 batteries down to as close as I could get them, 1 was 3.29V and the other 3.33V, close enough. 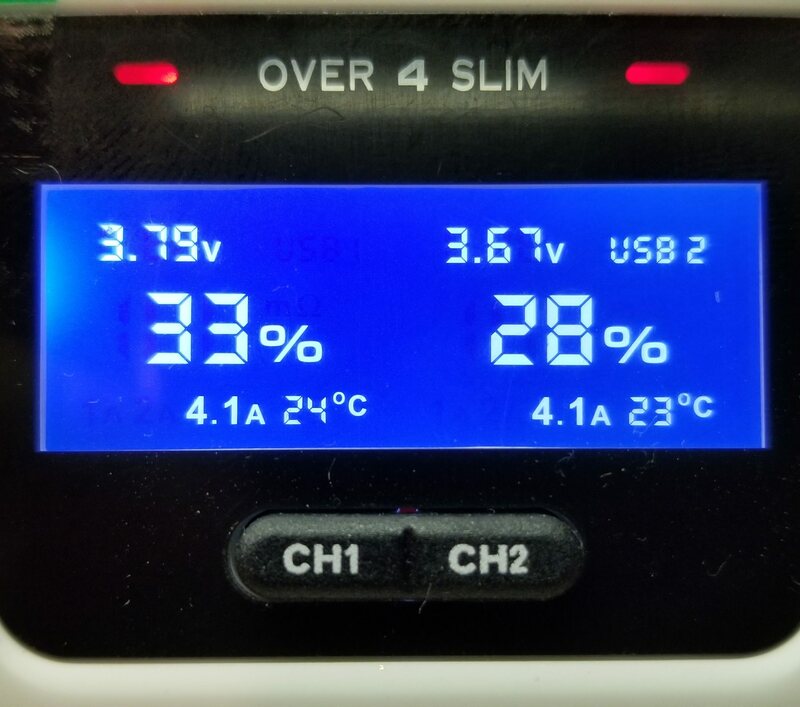 Using my Hohmbase charger (I also have 2 other Xtar chargers but decided to use a different brand) I popped in the 3.33V in there and set it to 2A charge. I then placed the 3.29V Basen into the Xtar and it set it to 4.1V after running it’s diagnostics first. Now I would like to tell you exactly the times, I had written it down on a post it note since I was in a hurry and my normal notes were in another room. My mistake for leaving it out as it got thrown away….thank you honey ;-p. I can tell you though based on my remarkable memory…..ok, stop snickering, it is good enough….the Xtar Over 4 Slim at 4.1A was exactly twice as fast as the Hohmbase at 2A, it was on the nose twice as fast, very impressive. Now I have to point out that the batteries will get pretty warm charging at 4.1A, the warmest it got was 48C which equates to 118F but mostly batteries were 44C which is 111F. The Over 4 Slim does measure temp and if the battery gets too hot it will automatically lower the charge current to keep it in check. I never got to the point of having protection kick and lower the rate but I was not in front of the charger the entire time. Of course this warmth is one of the reasons why you will lower the amount of charge cycles of your batteries, can’t charge at such a high rate without it getting warm. The cost of speed will be that your batteries will degrade at a faster rate, by how much depends on a lot of factors but 4.1A charging is one of them. Now I have to admit, prior to getting the Xtar Over 4 Slim I would have sometimes 3 or 4 chargers going at the same time, I have 6 chargers, Over 4 Slim included. My time with the Over 4 Slim the charges were so fast I only used my other chargers when I need to charge a married set of 3 or 4 batteries. Never thought 1 charger would ever be enough but for the vast majority of the time the Over 4 Slim was all I needed. I have to say that charging at 4.1A is pretty addictive, more so if you are like me and never charge batteries unattended. Not like I am standing in front of the charger the whole time, just won’t charge when I am out and about or when we are sleeping. 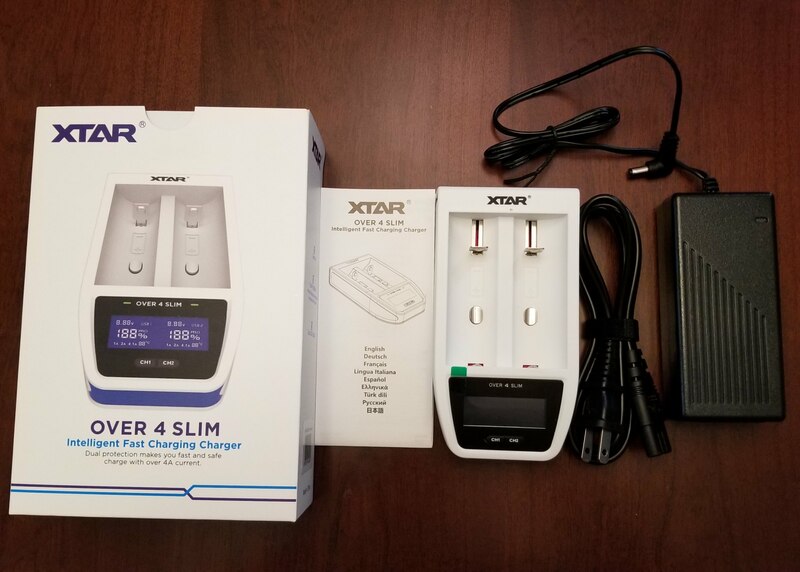 To go from having 3 to 4 chargers going at once to just one fast as hell charger was a real experience and one I will continue with the Xtar Over 4 Slim, it is a crazy cool charger to have around. Now you have to weigh the Pros and Cons on this one, are you ok sacrificing some of the life of your batteries for the convenience of speed? If the average of a Li-ion batteries available stored energy begins to fall at 300 to 500 charge cycles at a slow 0.5A charge rate would 270 to 450 or possibly 240 to 400 cycles for a MUCH faster 4.1A charging rate be worth it for you? Please keep in mind the batteries will continue to work, it is just that the available stored energy begins to go down, sort of like your cell phone, you get less talk time as the battery begins to age. Personally I am OK with sacrificing some life at the end of my batteries usefulness as I mainly use multi battery mods where the effect is not as noticeable. For single 18650 mods I will continue to charge at a lower rate, this is where it will get noticeable. My high mah 26650’s will be exclusive to the Xtar Over 4 Slim though, takes forever to charge a 4500mah 26650 in my other chargers. I will normally post where to buy products I review but the only place I could find so far was on ebay at what looked like a nah nah nah, I got it so you gotta pay a higher price so I won’t post that. I would expect it to be available soon at most places and if I find a great deal I will update here. Thanks to Xtar for sending me the Over 4 Slim for review, it will get a lot of use by me for sure!